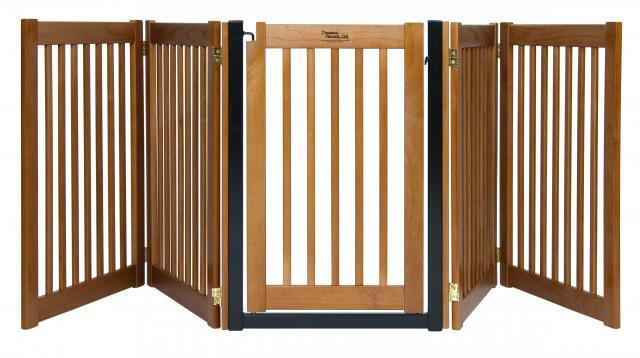 This Pet Gate package includes a black pressure mounted gate with 21″ and 39″ extensions. It is very easy to set up and take down. This gate reaches a width from 89 to 92 inches. Great for large openings! 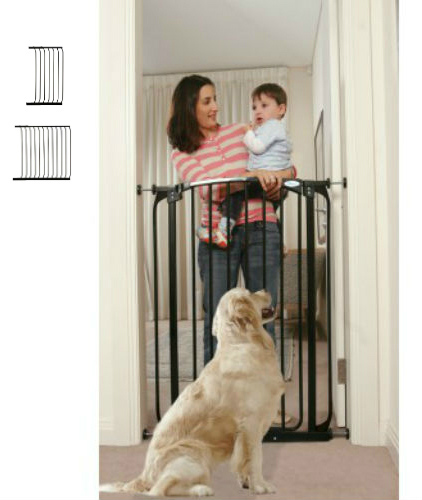 The Extra Tall Swing Close Security Pet Gate is very easy to set up and take down. Great for use in doorways and hallways. This package includes one 21 and one 39 inch extension and will reach a width of 89 to 92 inches. Black in color. 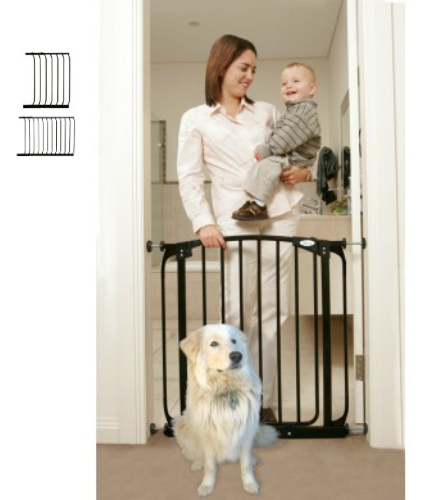 The Extra Tall Swing Close Security Pet Gate is very easy to set up and take down. Great for use in doorways and hallways. This package includes one 21 and one 39 inch extension and will reach a width of 89 to 92 inches. White color. 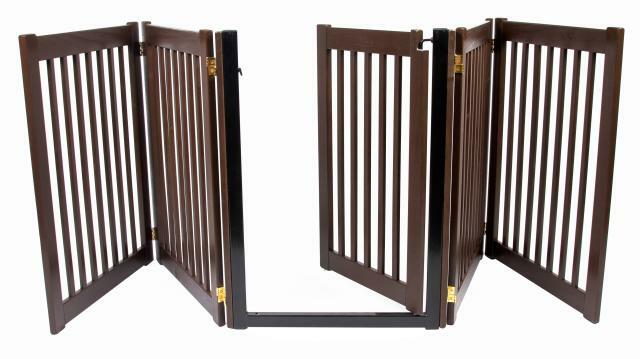 Tall Hallway Pet Gate Plus Two 24.5 Extensions (88.5 to 91W) – Black for those extra wide openings – Steel, Pressure Mounted Pet Gate with a door opening of 20 inches and a height of 39.4 inches. 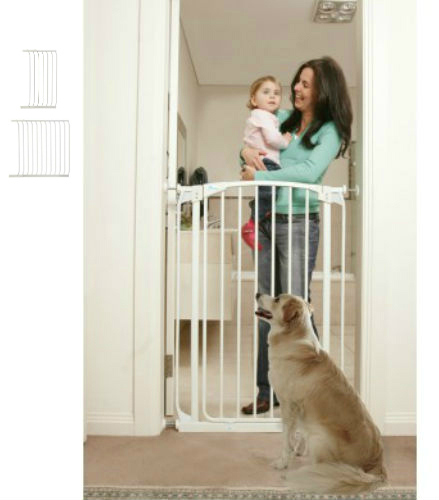 The Swing Close Security Pet Gate package includes a white pressure mounted gate with a 21″ and a 39″ extension. It is very easy to set up and take down. 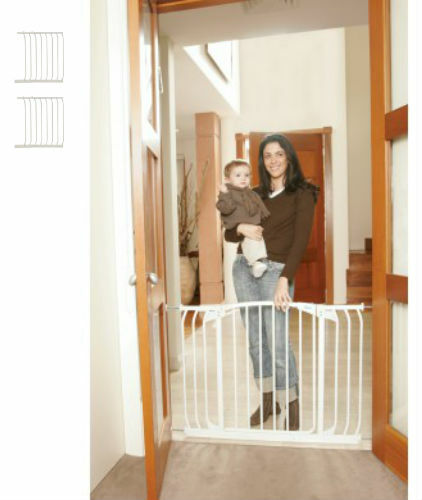 Great for large openings, this gate reaches a width from 89 to 92 inches. This package of the white Hallway Security Pet Gate includes two 24.5″ gate extensions to reach a width of 88.5″ to 91″ for the extra wide openings. The Hallway Security Gate is a steel pressure mounted gate with a door that can be opened in both directions and swings closed automatically. 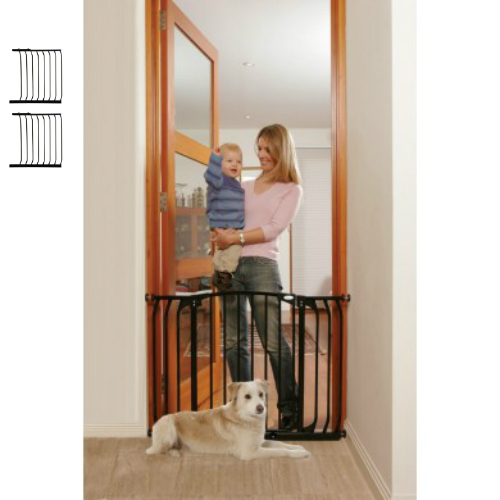 The gate has a 29.5″ height and is very easy to set up and take down. 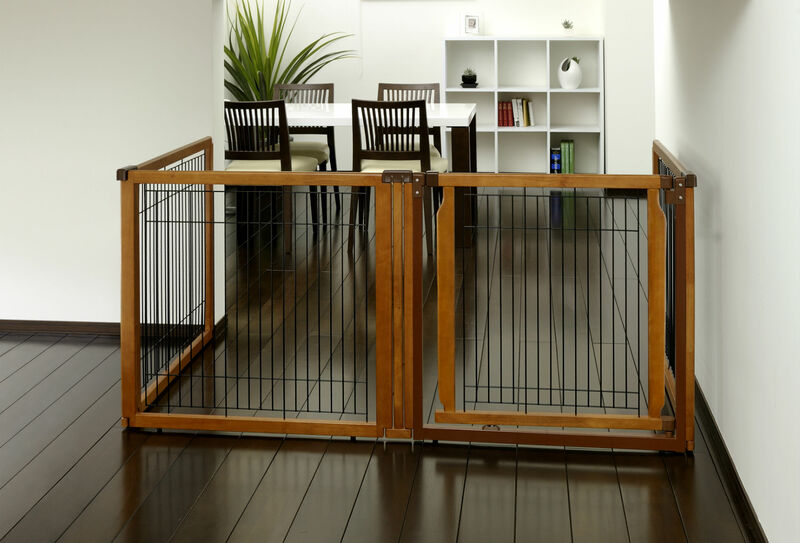 The Hallway Security Pet Gate is a steel, pressure mounted gate very easy to set up and take down. 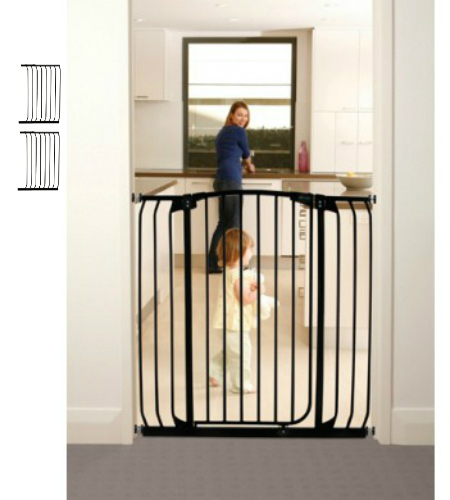 This package features a black Hallway Security Gate with two large 24.5″ gate extensions. The gate has a door opening of 20 inches with bar spacing of 2 1/4 inches and a height of 29.5 inches. 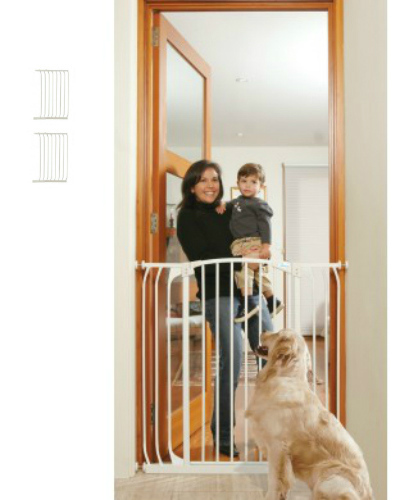 Tall Hallway Pet Gate Plus Two 24.5 Extensions (88.5 to 91W) in White is an attractive steel, pressure mounted pet gate with an extra tall height of 39.4 inches and a 20 inch door opening.